The 2019 Cam Coye Memorial Basketball 3 on 3 Tournament will be held at the Georgetown Middle High School at 1 Winter Street in Georgetown, Mass., on Saturday, August 10, 2019 from 8 a.m. to 8 p.m. Calling all volunteers, we will be looking for volunteers on the day of the event. Community Serveice Hours Offered. More details to come. 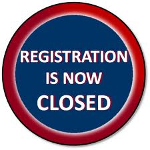 On-line registration is not open yet.